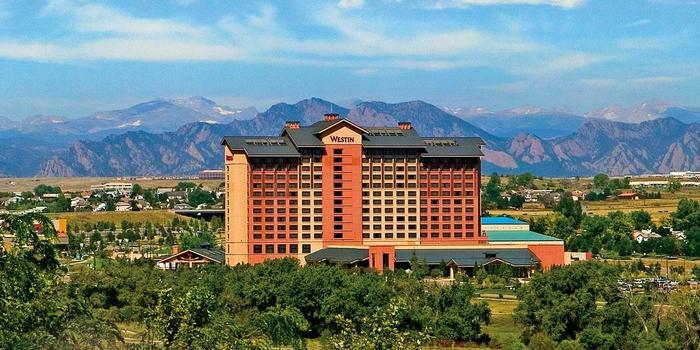 The 56th Annual FALJC Seminar will be held at the Westin Westminster Hotel in Westminster, Colorado. Please note that this year the event will begin with our traditional cocktail party and annual gala dinner on the evening of Monday, September 23. Our education sessions will start on Tuesday morning and wrap up at 5:00 p.m. on Wednesday evening, September 25. Most people will travel to the seminar either over the weekend or early Monday and depart on Thursday. 2. Pay your fees online, by mail, or through your agency. 3. Reserve your hotel room here. The Conference Fee of $325 is available to FALJC members who register on or before June 28, 2019. After June 28, 2019, the Conference Fee increases to $350. So please REGISTER TODAY to take advantage of the Early Bird Registration Fee Discount! Your Registration Fee includes the Monday evening Gala Cocktail Reception and Dinner, breakfast on both Tuesday and Wednesday, snacks and beverages during the morning and afternoon breaks, and all costs associated with the educational programming for two full days (CLE anticipated). The Guest Fee goes towards the cost of meals for your guest. A Special Conference Hotel Rate at the Westin Westminster Hotel is available for Seminar Attendees for Monday, Tuesday and Wednesday nights at the low rate of $181 per night! The conference rate is also available for three days before and after the seminar, based on availability. The Westminster features a gym and spa, is less than a mile from golf, and is conveniently located 15 miles from Denver and Boulder. Reservations at the Westin Westminster Hotel MUST BE MADE DIRECTLY WITH THE HOTEL. Please make reservations as soon as possible to take advantage of the Special Conference Rate online at the Westin Westminster Hotel. 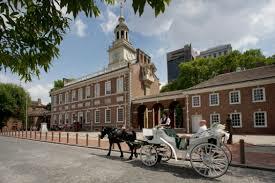 For a list of Westminster and Denver area attractions click here. We are planning an exciting program! Join as we examine the latest in Lucia case law and Executive Order 13843. Plan on obtaining two hours of Ethics CLE’s from Professor Gregory L. Ogden, Faculty Editor of The Journal of the National Association of Administrative Law Judiciary and hear from Chief Judge Timothy Tymkovich, U.S. Court of Appeals for the Tenth Circuit. COMPLETE the online FALJC Registration Form and submit your completed form online then make your hotel reservations. IMPORTANT: If your Agency is paying your Registration Fee, please make sure that you include your Agency Contact information if you want your agency billed directly for the Registration Fee. REGISTRATION FEE: You may pay online with a credit card as instructed on the form. If you prefer to pay the Registration Fee by check, please make sure that you MAIL YOUR CHECK for $325 to: FALJC 2018 Seminar, PO Box 26034, Alexandria, VA 22313 on or before June 30, 2018. You MUST STILL register online even if you are paying by check. Please be sure to add $150 for each guest. Guests may only attend the banquet and breakfasts if a guest fee is paid. HOTEL RESERVATIONS ONLINE: Make your hotel reservations online at the Westin Westminster. It’s fast and easy. HOTEL RESERVATIONS BY PHONE: You may make reservations over the telephone by calling 1-855-202-9851 and mention the FALJC 2019 Conference. AIRPORT: Denver International Airport is approximately 25 miles from the hotel and cab fare is approximately $45 one-way. PARKING: Self-park is complimentary at the hotel; valet is $15 per day. Before July 31, 2019: There is no fee to cancel attendance if the request is received in writing on or July 31, 2019. A full refund will be issued. Between August 1, 2019, and August 25, 2019: A $25 cancellation fee to cover administrative costs will be deducted from the refund. After August 25, 2019: Because of fees imposed by the conference facility, absolutely NO REFUNDS will be issued after August 25, 2019. 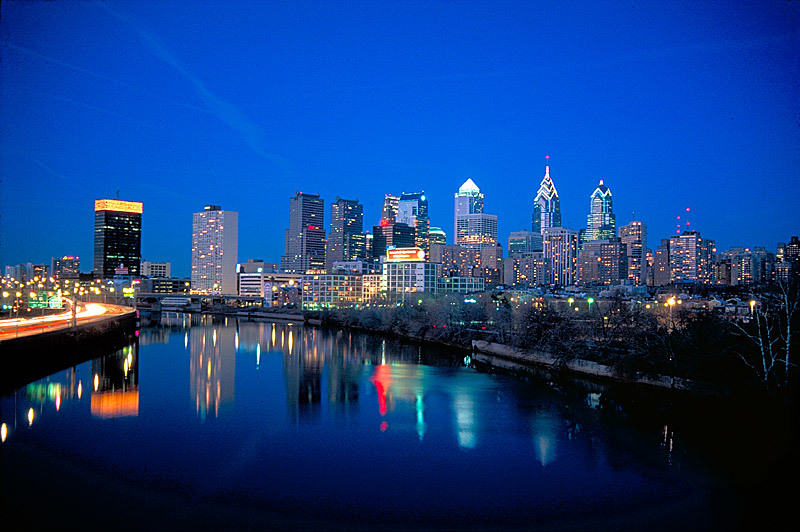 The 55th Annual FALJC Seminar was held at the Loews Philadelphia Hotel. The event began on Sunday, September 23, 2018, with registration and the traditional cocktail party followed by the annual dinner. Our training started on Monday morning and ended at 5:00 p.m. on Tuesday evening. Speakers included: Professor Kent Barnett (University of Georgia School of Law), Professor Jennifer Mascott (George Mason University Antonin Scalia School of Law), and Professor Michael Gerhardt (University of North Carolina School of Law and Scholar in Residence, National Constitution Center). 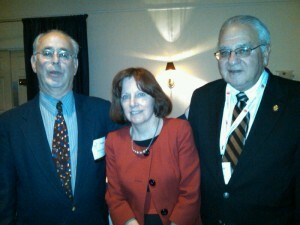 The 54th Annual FALJC Seminar was held at the Providence Marriott Downtown. The event began on Sunday, September 24, 2017, with registration and the traditional cocktail party followed by the annual dinner with a Keynote Address from Senator Sheldon Whitehouse (D-RI). Our educational program began Monday morning and finished at 5:00 PM on Tuesday afternoon. A copy of the draft program is here. Even the music is better in Rhode Island! Providence, Rhode Island – the Gateway to New England – for the 54th Annual FALJC Seminar! Thanks to all who attended this great conference! 2016 Seminar in Scottsdale a Huge Success! 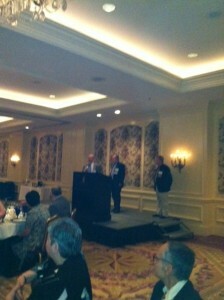 The 53rd Annual FALJC Seminar was held at the Scottsdale Resort at McCormick Ranch. The event began on Monday, September 26, 2016, with registration and the traditional cocktail party followed by the annual dinner. Our program began on Tuesday morning and finished at 5:00 PM on Wednesday afternoon. FALJC’s 52nd Annual Seminar, held at the historic Francis Marion Hotel in Charleston, South Carolina, sold out quickly. It was great to see many new faces and old friends. Thomson Reuters generously sponsored our Welcoming Reception. Talented Administrative Law Judges and musicians, Hon. Zaring Robertson (Zip) and Hon. L. Zane Gill, warmed the room with their melodies. FMSHRC Hearing Office Director, Michelle Williams, who has sung for the White House, thrilled the audience with her beautiful voice. ABA President William Hubbard, our keynote speaker, provided insights into the impact of technology the direction of the legal profession. We were honored that he graciously joined us for the Gala Dinner. Administrative law scholars, including Professors Kent Barnett, Jerome Nelson, and Jeffrey Lubbers and ACUS Executive Director Matthew Weiner addressed current administrative law issues. While we may not have agreed with all of their comments, it is important to know what they are saying about us and to have an opportunity to respond. The Charleston School of Law provided a number of fine speakers and we enjoyed meeting their top students. In addition, our fellow Administrative Law Judges from around the country shared their insights and provided a valuable glimpse into issues facing their agencies. We appreciate all the time and effort that our members put into their presentations. Thank you to FALJC President Hon. Erin Wirth, FALJC 1st Vice-President Hon. Bill Farley and everyone who participated in planning the seminar. As the seminar is growing, the work to put it together is growing as well. We appreciate your participation, contributions, and assistance. We look forward to seeing you next year at the 53rd Annual Seminar on new days, from Monday, September 26, 2015, through Thursday, September 29, 2015, in Phoenix Arizona. If you would like to participate in planning or have ideas to share, please contact Hon. Lisa Buschmann. Our 51st Seminar and Conference, held Sunday, September 14, 2014, through Tuesday, September 16, 2014 in Williamsburg, Virginia was a Huge Success! The historic 51st Annual FALJC Seminar, held at the Williamsburg Lodge in Williamsburg, Virginia, from Sunday, September 14, 2014, to Tuesday, September 16, 2014, received excellent reviews. Pictures of the seminar are posted in the Media Library. The Seminar kicked off with a Welcoming Reception sponsored by Thomson Reuters and a Gala Dinner featuring music by Law Capella, introduction by colonial General (and prior FALJC President) Peter Davenport, and lively presentation by colonial politician and attorney Patrick Henry. William and Mary and the National Center for State Courts generously welcomed us to Williamsburg. The education program included informative presentations from the National Center for State Courts by President Mary McQueen, Dr. Jennifer Elek, and Judge Lee Sinclair from Ohio. William and Mary provided instructive presentations by President W. Taylor Reveley, Law School Dean Davidson Douglas, and Professor Fred Lederer. A number of presenters traveled to Williamsburg to share their insights, including Executive Director Matthew Wiener, from the Administrative Conference of the United States; Justice Judith McConnell, from the National Association of Women Judges; and NLRB Chief of Staff to the Chairman, Robert Schiff. In addition, Administrative Law Judges from around the country shared their wisdom regarding Recent Developments in Administrative Law; Practical Approaches to Evidentiary Issues; Ethical Issues for Judges; and Hot Topics for Administrative Law Judges. Throughout the seminar, Administrative Law Judge and licensed tour guide Kenneth Krantz provided informative tours of Colonial Williamsburg. Thank you to Administrative Law Judge Erin Masson Wirth, the FALJC Officers, and numerous FALJC members for coordinating an enjoyable and educational seminar. We look forward to seeing you next year at the 52nd Annual Seminar from Sunday, September 27, 2015, through Tuesday, September 29, 2015, in Charleston, South Carolina. 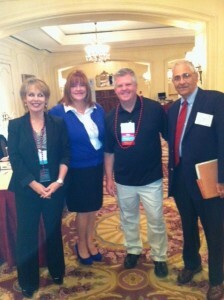 FALJC Completes Another Successful Conference! 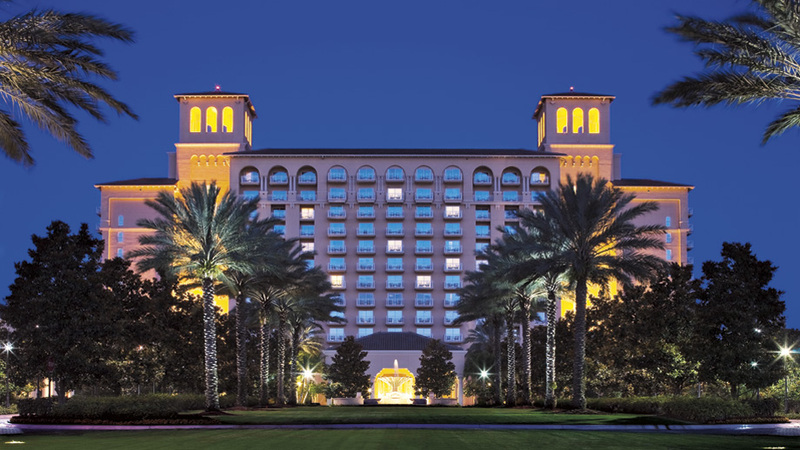 The 50th Annual FALJC Seminar was held at the Ritz-Carlton Grande Lakes in Orlando, Florida beginning Sunday, September 8, 2013, and concluding on Tuesday, September 10, 2013. Attendees have raved about the wonderful hotel and the excellent program. We will post pictures form the event shortly so stay tuned. Check back here for information about the 51st Annual Seminar to be held on Sunday, September 14, 2013, through Tuesday September 16, 2014. 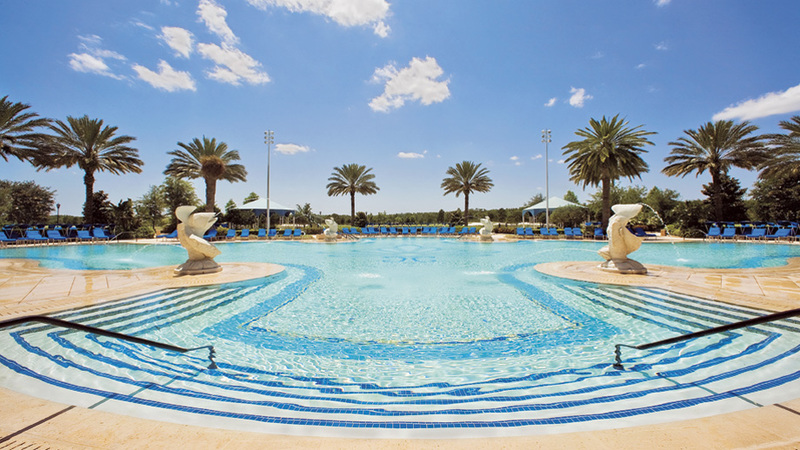 This spectacular five-star hotel is located just minutes from Orlando International Airport, and a short distance from Orlando’s exciting attractions. However, because this resort has an 18-hole Greg Norman designed championship golf course, a world class spa, exceptional restaurants, hiking, biking, and jogging trails, and numerous on site activities, you never have to leave the property to experience the luxury of this exciting Ritz-Carlton resort destination. A very special THANK YOU to all who attended the 49th Annual Seminar in New Orleans. We had a record 92 FALJC attendees! 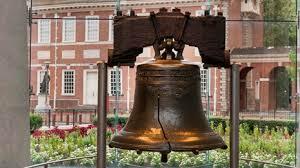 Please join us in September 2013 for the 50th Annual FALJC Seminar! If you have photos you would like to share, please contact Judge Gilbert at james.g.gilbert@usps.gov. Last year, FALJC held its 48th Annual Seminar at the Dunes Manor Hotel in Ocean City, Maryland. It was a great success. Nearly 75 Administrative Law Judges and guests from around the country attended this three-day event.